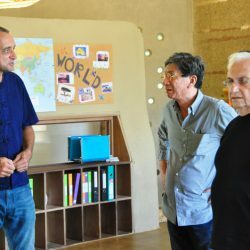 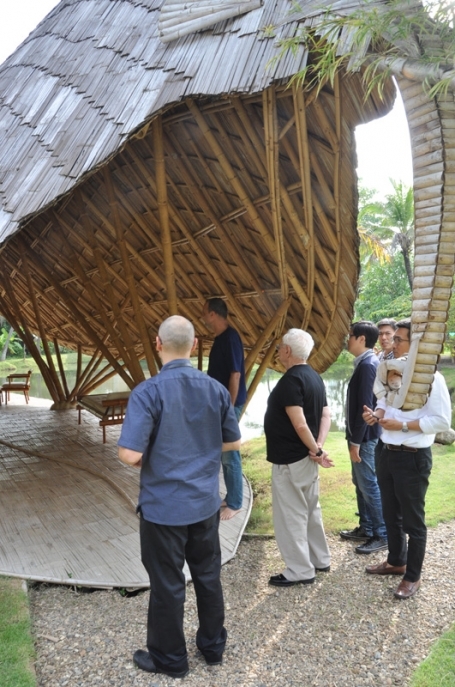 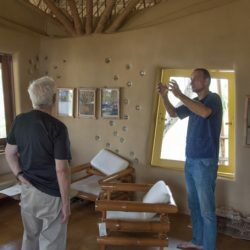 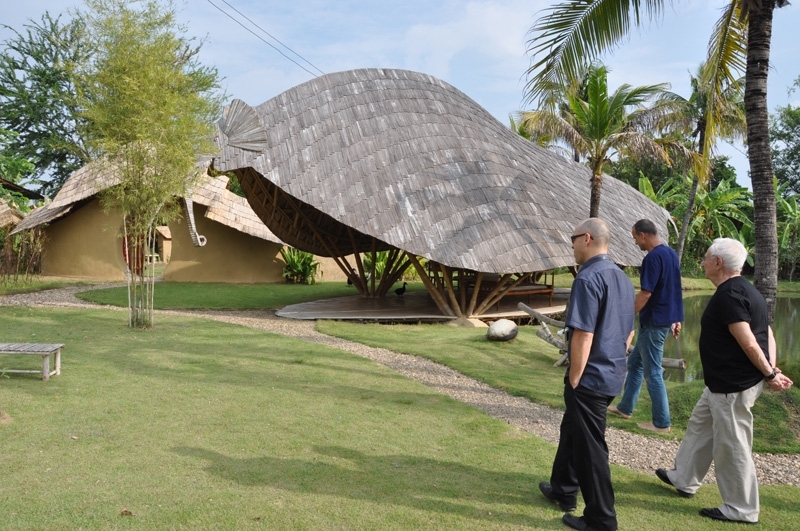 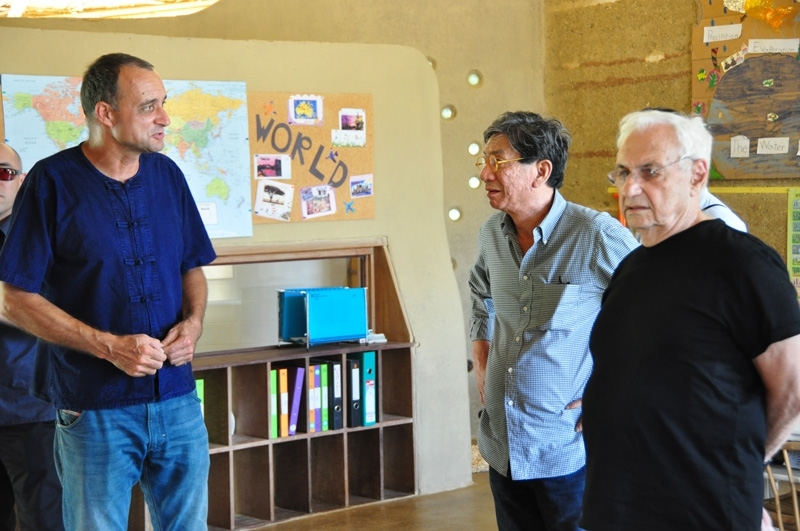 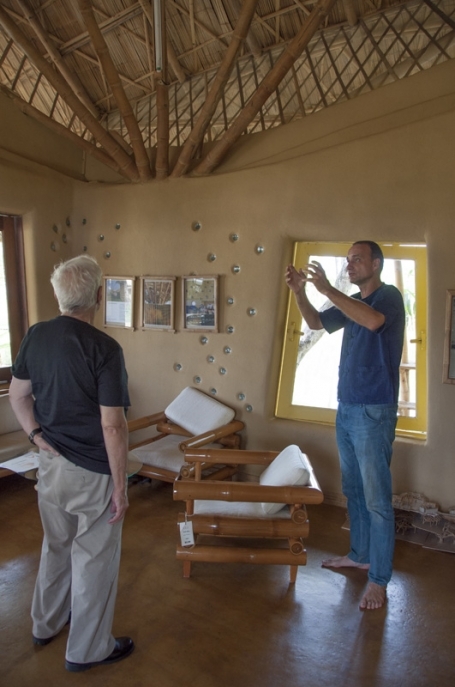 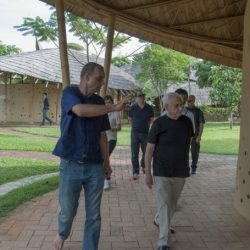 Frank Gehry visited CLC and had a talk with Markus Roselieb about bamboo and earth construction. 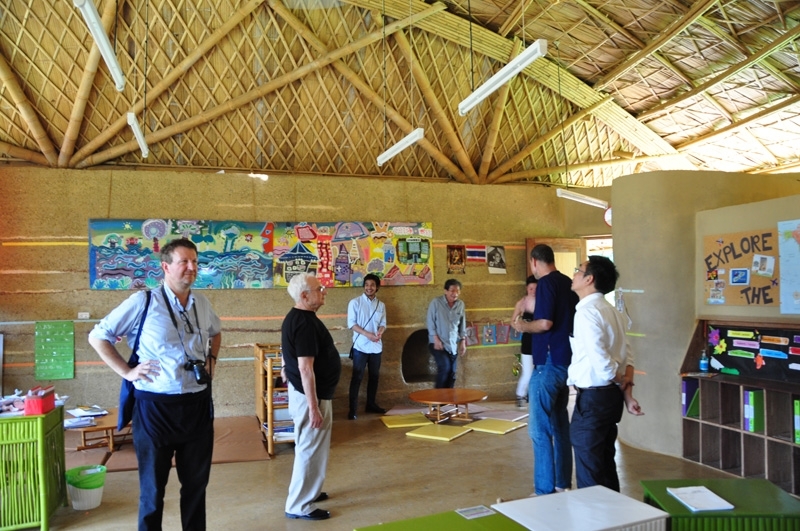 Then they moved on to have a tour of Panyaden International School. 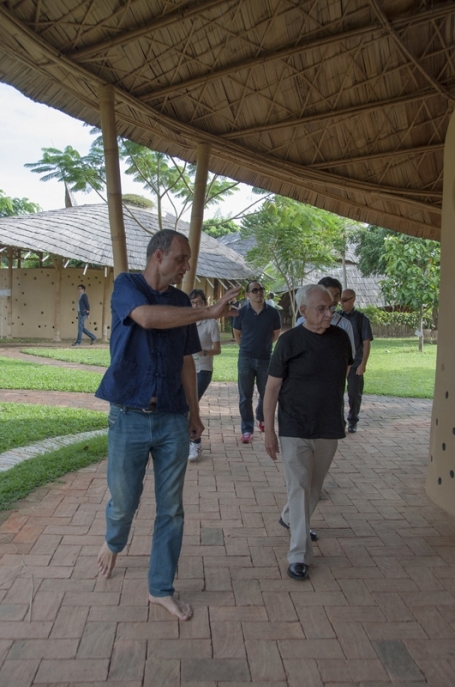 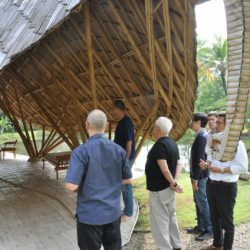 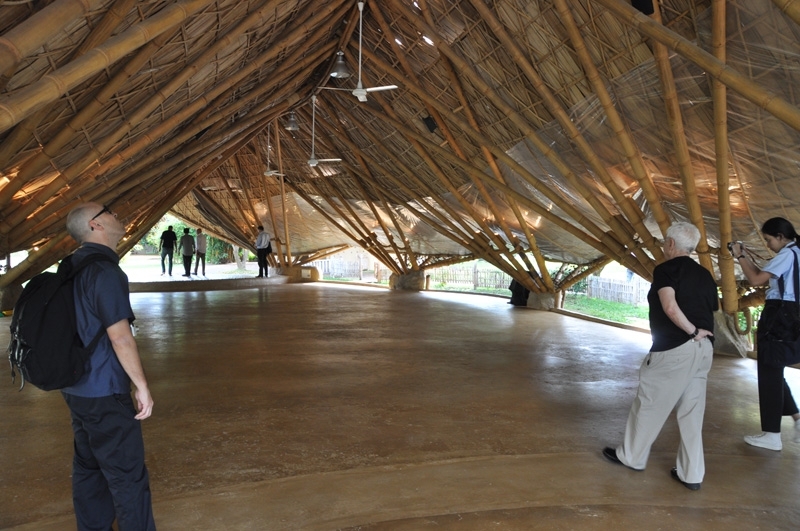 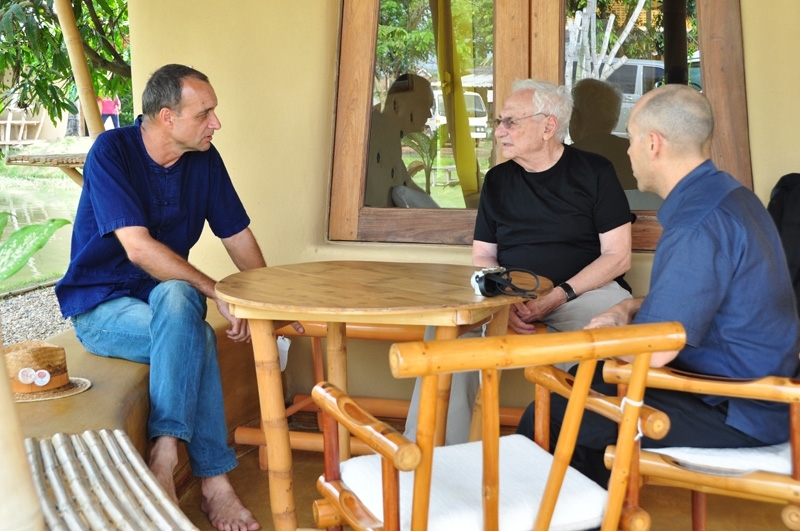 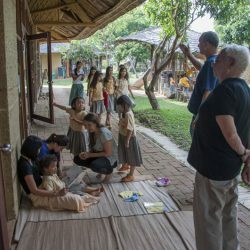 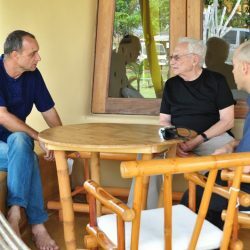 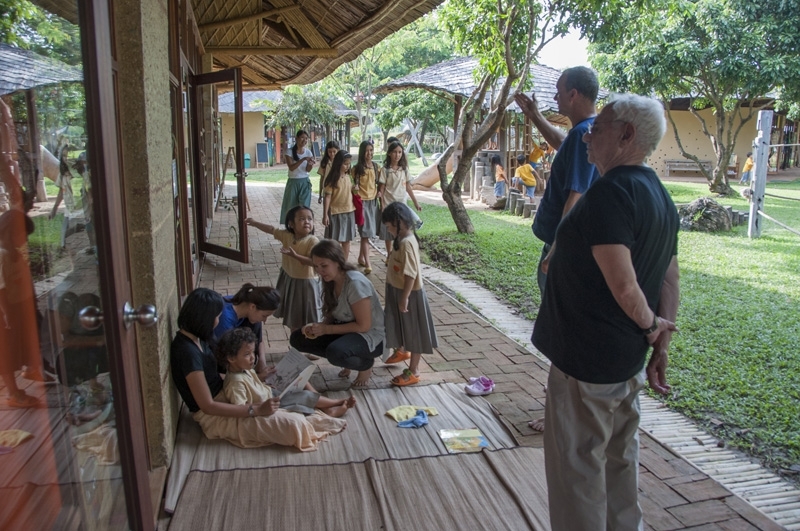 Frank Gehry was on an official visit to Chiang Mai. 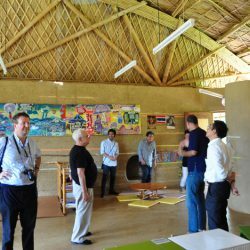 As he is famous for his modern organic design, Chiangmai Life Construction and their masterpiece Panyaden International School were the first choice to visit and exchange knowledge. 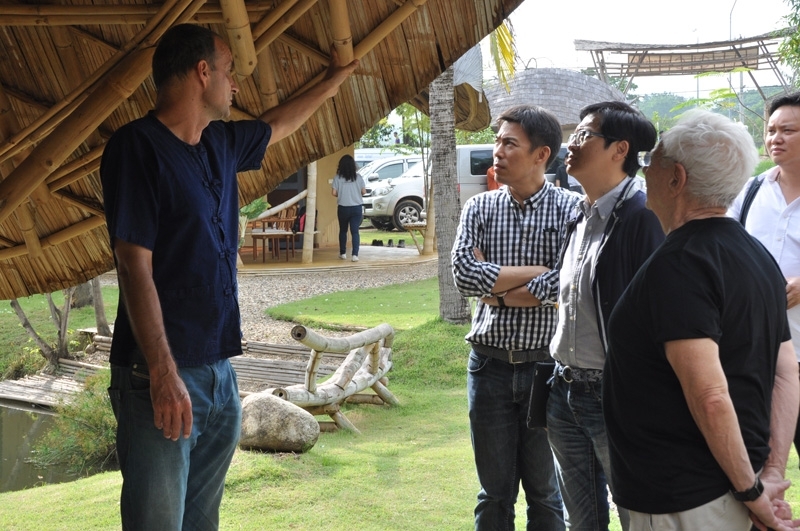 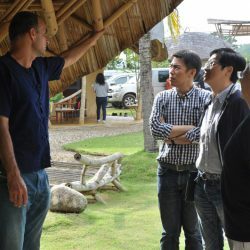 The famous architect had never even thought about Bamboo as a competitive construction material before visiting our factory and design office. 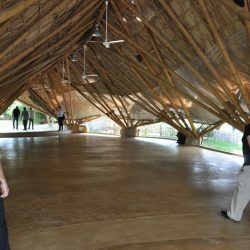 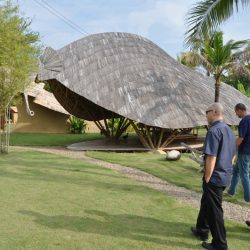 So we introduced him to modern bamboo architecture and the many advantages this unbelievable natural resource brings to the table.